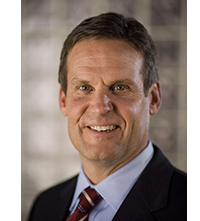 Republican Williamson County businessman Bill Lee has announced his candidacy for Governor. He has no prior political experience. He is chairman and former CEO of Lee Company, a construction company that employees 1150 people. He is running on a campaign of jobs, education and public safety. He has a personal story of tragedy and faith and has been active in faith-based charitable work and will likely appeal to values voters as well as pro-business Republicans. To read The Tennessean story of his entry into the race follow this link. For a Tennessean story from March when Lee was "close to jumping in the race," see this link.